Jeannie made a lot of good food—roast turkey, honey-glazed ham, mashed potatoes and gravy, and the best apple pie I’ve ever had. 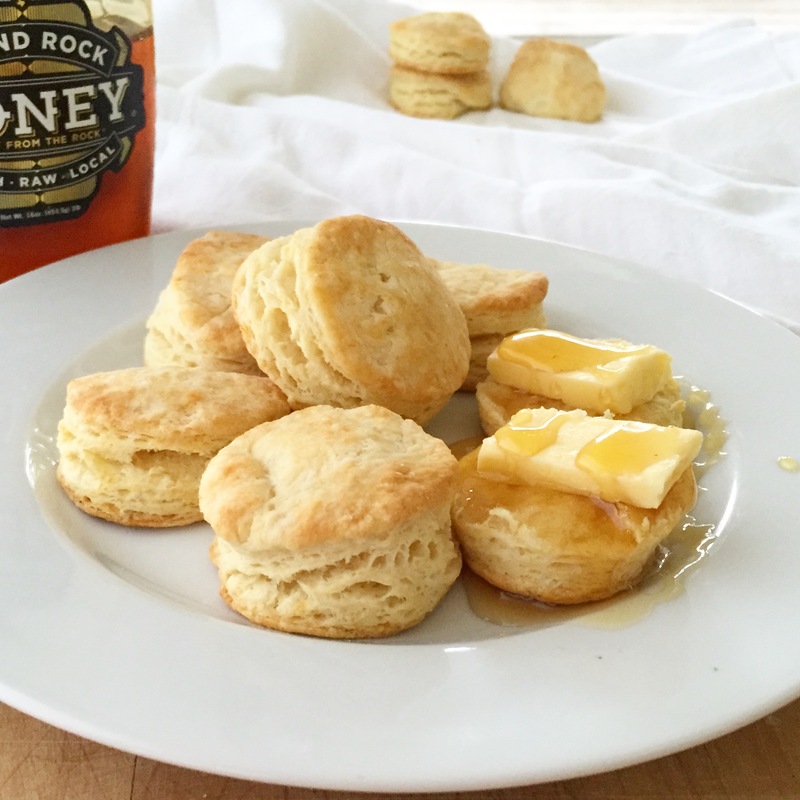 No matter what was on the menu, we could always count on her legendary buttermilk biscuits. Although we usually enjoyed them with lunch or dinner, they’re perfect for breakfast, too! Top with honey or jam and a little more butter; they’ll absolutely melt in your mouth. Heat the oven to 450°F. Line baking sheet with parchment. Put flour, sugar, baking powder, salt, and baking soda in the bowl of a food processor; process for 5 to 10 seconds to distribute dry ingredients evenly. Add butter; pulse just until combined (the mixture should resemble cornmeal). Add buttermilk and pulse again just until combined; do not overmix. Using a rolling pin (or just your hands again if you want! ), roll or press the dough until it is about ½-inch-thick. Dip a 2-inch round biscuit cutter in flour and cut out biscuits (press straight down and lift straight up; don’t twist), dipping the cutter in flour between each cut. Place biscuits on prepared baking sheet about ½-inch apart. Gather together scraps of dough with your hands, roll out dough, and cut more biscuits. Bake for 12 to 14 minutes, or until biscuit tops are golden brown. Place pan on a wire rack and cool biscuits for a few minutes. Serve warm with butter and honey or jam. Can’t wait to make those Biscuits ! Loved the comment about your daughter …flour in toes.